that day has not come. Here is a magnificent tale that captures the wondrous beauty of nature and love—and the darkness of superstition and fear—from one of America’s most exciting contemporary novelists. 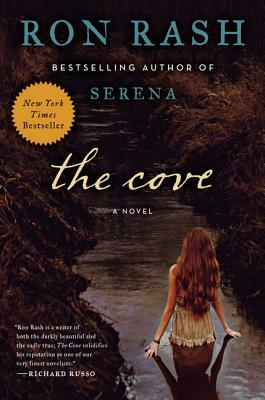 With The Cove, Ron Rash, author of the acclaimed New York Times bestseller Serena, returns to the Appalachian milieu he has previously so memorably evoked. A two-time O. Henry Prize winner for his short fiction—and recipient of the 2010 Frank O’Connor International Story Award and the 2010 SIBA Book Award for his story collection Burning Bright—Rash can expect more honors for The Cove, a novel that brilliantly explores often dangerous notions of patriotism during wartime. This story of a love affair doomed in the rising turmoil of WWI resonates powerfully in today’s world.